We celebrated my mother-in-law's birthday on Saturday. I think she really enjoys having an October birthday because it is one way that she can ensure that she has a family day at the corn maze. 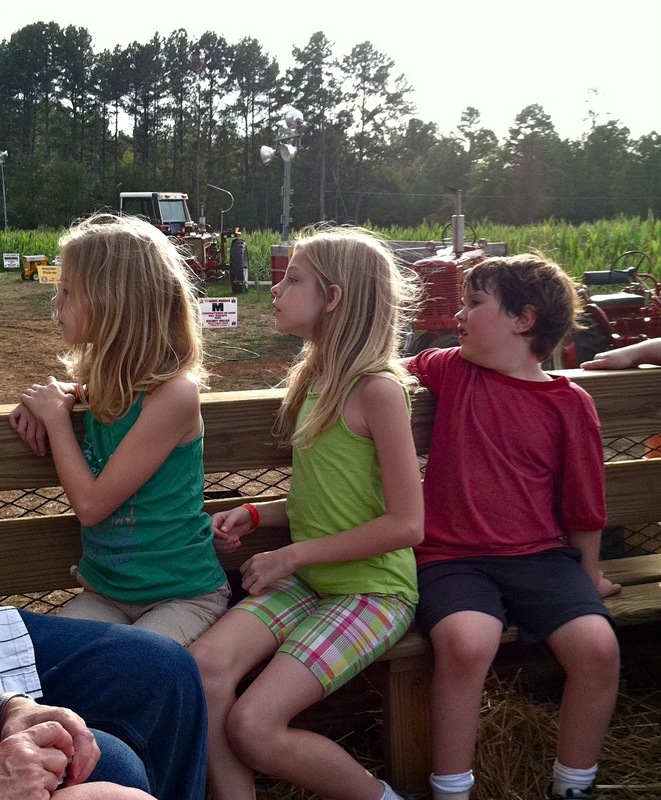 We went to a new place this year (which was pretty great, if you ask me) The Miller Family Farm on Cleveland Rd in Athens. As you can see, not a single one of them can follow directions...although I think Jonah may be the closest one to it. I especially love Chandler in this picture. WTH??? I think she may be walking like a Egyptian. She does this fairly often. Ridiculous. Lord only knows with that child. *shakes head* Lord only knows. And the rest of them are a fine bunch, aren't they? 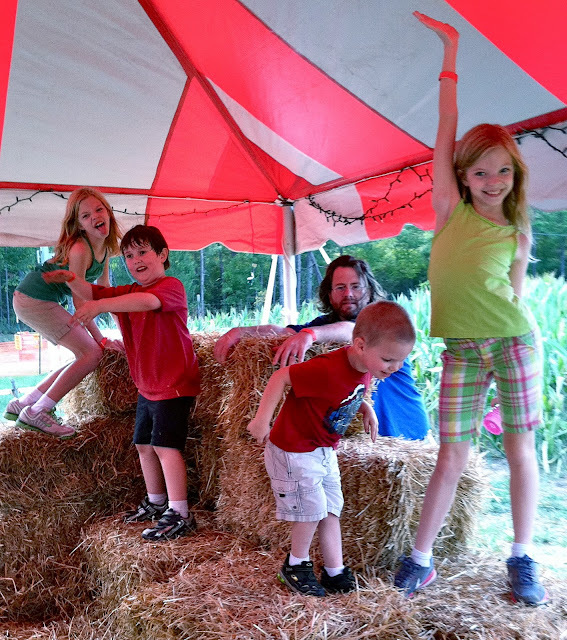 The kids played in the giant corn box. They all loved it. Kind of skeevy, if you ask me. We finished up the trip with riding some ponies and feeding some goats. Then we headed back to Sharon and Ross' house to roast some marshmallows, eat some dinner, have some cake and open some presents. Sharon, I hope you had a great day! And I hope you enjoy a great shopping trip to Pier One! So, that's all you had to say about the corn maze..."we traveled through the corn maze." 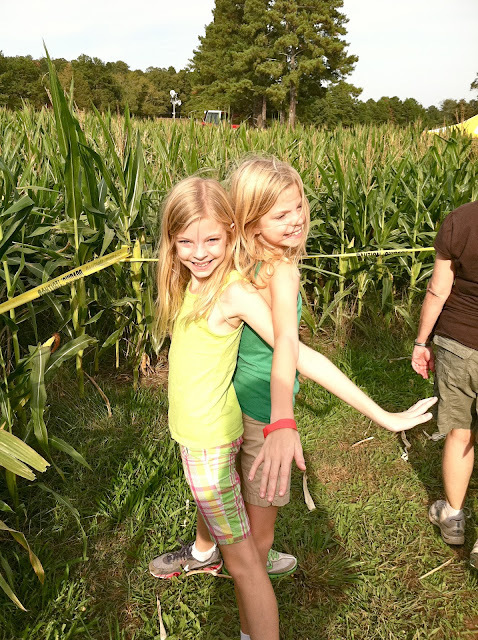 You mean, our directionally challenged family made their way through the corn maze while part of the family went back out the way they came in and the rest of us were taunted by the man in the tower. I'm still sure he was laughing at us. :) But we made it and everyone was happy.